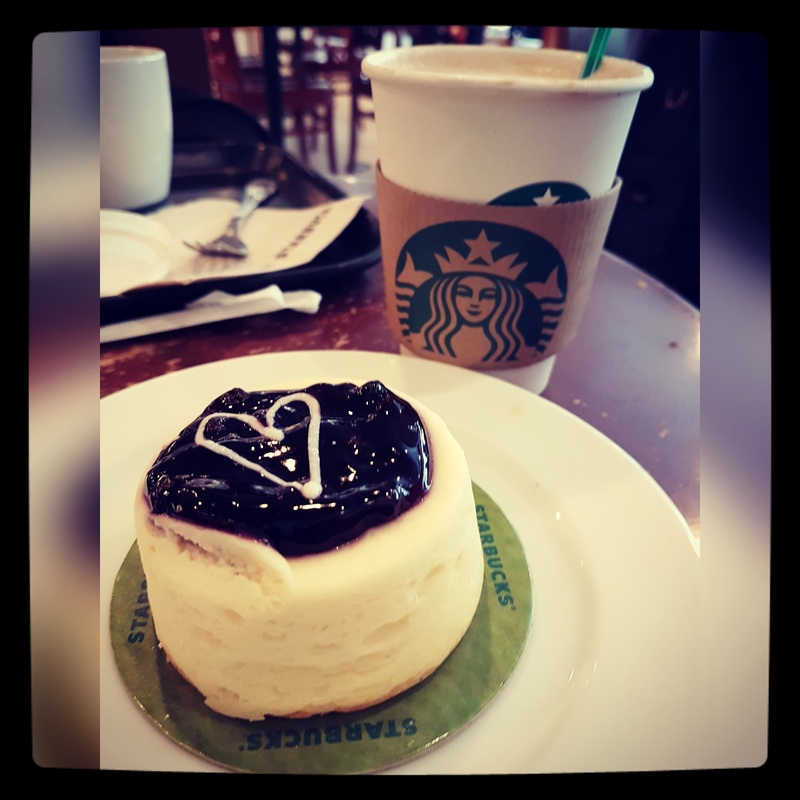 As an avid fan of coffeehouse culture, let me say a few things about this issue regarding the Starbucks incident that ignited in social media and mainstream media early this week. Read about that USA incident here. occupied a table, and didn’t buy anything. Since the men are black, people were quick to raise the race card on this one. White people came to the defense of the black men, also raising the race card on the police, saying that if they were the ones who went there and sat around without buying, they won’t be shooed away. A video of the transaction went viral, ending in the two men being escorted out of the café in a calm manner, but handcuffed. Bawal iwanan ang kalat ng pinagkainan. Simply stated, you can’t just leave your food trash after eating. There’s a reason why the garbage bins are clearly identified in fast food chains in the US. You’ll be the one to dispose of your trash after eating. But here in the Philippines, they hire staff to do this thing. It’s not only us who do this. I also noticed this practice in Hong Kong, where the staff who’s assigned to clean up your mess are clearly of senior citizen age. I think that’s also HK’s way of employing older people, so maybe that’s a good thing. Bawal hindi mag-tip! Now this one boggles my mind. Tipping should be an option, always. All around Asia, I saw that this is the norm. But in the US, it’s mandatory, and there’s even a calculator for you to arrive at the proper tip! I bought one of those disposable handphones to use there during my stay, and it has a built-in tip calculator feature. I also know of one incident that happened to a friend, where their party was chased by the waitress because they didn’t leave a tip. Yeah, the US is serious about this, folks. Ikaw ang magbabalot ng sarili mong take-out. My very first experience of dining in the US is right off the San Francisco airport, when my US citizen sister brought me to a 24-hour Ihop. And when I can’t finish my very American sized servings, I asked for it to be wrapped for “takeaway.” (No, my fellow Pinoys, they don’t use the term “takeout” there like we do.) And when the wait staff arrived, she brought us the paper bag and the plastic box to put our food in, but she didn’t do it herself. I notice them do the same thing in another eatery. But in other eateries, though, they were the ones who wrapped our food for us (maybe because they had more intricate ways of food presentation, which requires an intricate way of packing — my theory, because this happened in finer dining places). Bawal ang umistambay. I guess this is the golden rule of all golden rules, spoken or unspoken. We have this term in Filipino called “istambay” which I assume was derived from the term “standby.” Istambay is when you hang out in a place for a long time, without doing much. So this means, if you’re in a restaurant or fast food chain, you can’t just stay there for a long time, even after you have already eaten in that eatery. And Americans won’t be shy on letting you know that you have to leave when you’re done. I experienced this when I was in New York. 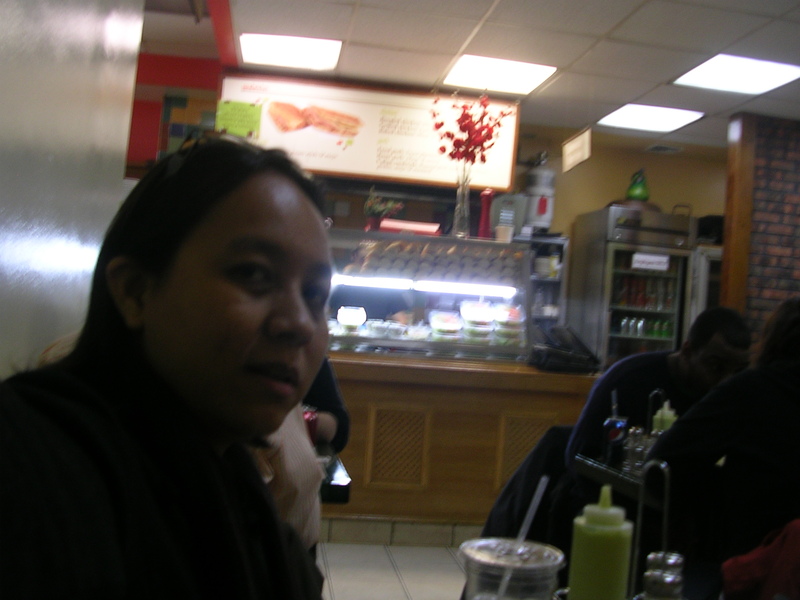 My friends and I were looking for a good and cheap place to eat on Fifth Avenue or thereabouts. We stumbled upon this Hispanic eatery, can’t remember if it’s Cuban or South American. But the place felt familiar because their dishes were displayed on a long counter, much like our carinderia style of eateries here at home. Plus a bonus is that the food resembled familiar fare, maybe due to the shared Hispanic heritage we have with the makers of this cuisine. 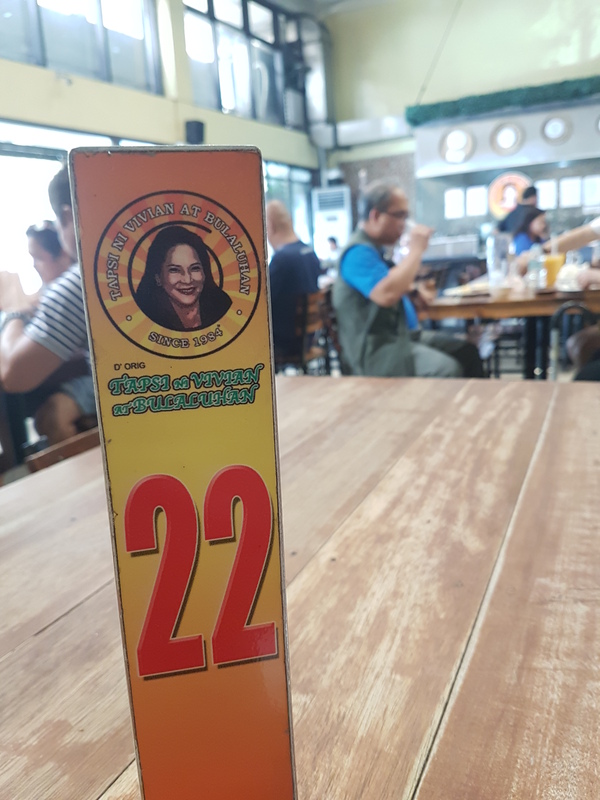 So we three Pinoys in Nooyawk ordered hefty lunch dishes, paid, and found our table in the farthest corner of the place, and happily stuffed ourselves. It’s no secret that we Filipinos love to eat. But we also inherited this bad side of dining from our Spanish conquistadores of yore, specifically the talking-and-hanging-out-after-eating-while-staying-at-the-table side. I tell you, we can hang out for the same amount of time it took us to eat the food — or longer! So if we eat on an average of like 15–20 minutes, we can also stay and hang out there on the table after eating for a good 15–20 minutes more. But something in the servers’ eyes behind the counter told us that maybe we should vacate already. The woman was giving us some kind of dagger stare, as if shooing us away. Given that the place was not packed anymore (it was already past the 1pm lunch hour rush), but she still glowered at us because we weren’t leaving yet, even if we were finished. And that was when it hit me: “No loitering” is a serious sign we should respect in establishments that put them up. This eatery didn’t have the sign, but it’s clear that that’s the unspoken golden rule there. So even if we were still so full, we tried to move and walk out. Now if you apply this to the two men who sat there in Starbucks and ordered nothing, just waiting for their business associate to arrive before ordering, then that’s technically “making istambay.” It’s my first time to hear, through this incident, that Starbucks has a number code for their restroom use. Here in the Philippines, the restrooms in Starbucks branches are just free for anyone’s use. It’s up to you if you’ll buy or not. People don’t generally mind this, if you just go in to use their restroom (I guess we Pinoys are kinder that way? Maybe.). So this is one issue that got my attention here. 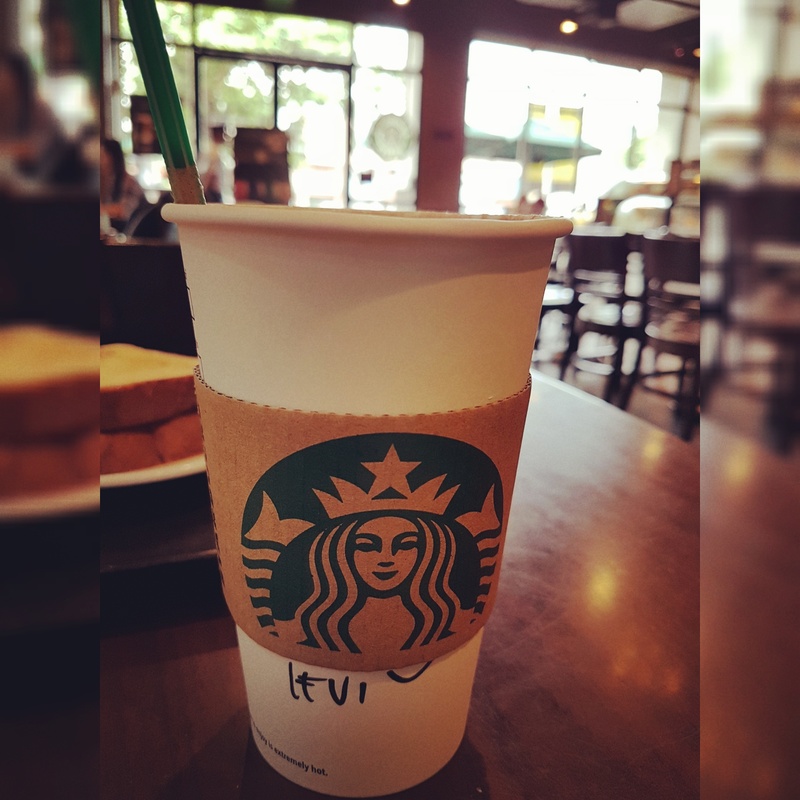 (I tried the Starbucks branches in the US, too, but I didn’t have to use the restroom, so I skipped discovering that info back then). I know it’s such a tricky thing to discuss this issue coming from just one perspective (as a paying customer) without involving the culture of the place, the neighborhood where this took place, the attitude of people towards races in that country in general (and its history), and similar incidents like these that happen in that city/state. But coming from the point of view of a paying customer, it might be just a simple issue that was blown out of proportion by the framing of it. For a paying customer, it might indeed be irritating if you see people just sitting there, without ordering anything, occupying space, when you can’t find any for yourself, and you ordered to sit and eat there. This has happened to me several times, not only in Starbucks but in other places as well, both here and abroad. There are establishments who have stricter rules about this, and implement them widely. You can approach the staff and ask for assistance on looking for a table for you, meaning you’re indirectly telling them to shoo away the people who are just “making istambay” there. Some of my friends, who are bolder, directly confront the tambays themselves. Sometimes I don’t want to confront, mainly because I don’t know the whole story of the people who are there, without food or drink on hand, and they might just be like these two guys waiting for their associate to arrive before ordering. It’s truly easy to jump to conclusions about a situation, that’s why I just don’t. Also, this is the policy of the store, and if we don’t like it, then we take our business elsewhere. I’ve also walked away from establishments before that don’t treat customers rightfully. We still need to be aware that whenever we enter an establishment, we will be subjected to and bound by the rules of their place. I would understand that it will be an assault to one’s identity if they singled that identity out as a reason for shooing away people. Here in Metro Manila, we in the LGBT community have specific experiences of being shooed away from establishments who undoubtedly discriminate against us based on our identity. For example, a transwoman who’s dolled up for a night of partying suddenly gets prohibited to enter a club because she didn’t “follow the proper dress code.” And when asked, the establishment said that the dress code is “dresses for women, pants for men.” And the transwomen were being misgendered as men, so they’re seen as “trespassers” of this dress code. Nearly two decades ago, I was also taken aback when this small, independent café near my university denied my friends’ initial negotiations of holding an event in their place. The café is run by older feminists whom we know are also lesbians like us, and we wanted to hold a special event there for our student lesbian organization. But our officers reported to me that the owners specifically said that they didn’t want their café to be “associated with people like you,” meaning lesbians. They were quick to shut out the pink peso by members of their own community! Boggled the mind, man. That was just doubly sad. But of course, this incident spread like wildfire within the lesbian and NGO community — majority of whom are patrons of the place — so of course the owners retracted and had another dialogue with us. We ended up holding the event there, with many guests as paying customers, and they didn’t complain about “people like us” anymore. Now those incidents are clearer assaults against one’s identity, especially the trans experience, and it’s clearly discriminatory. But if the Starbucks men were singled out because they’re black (and black men make the staff nervous), and that fact was made obvious by the one who called the police, then that’s a clear case of discrimination. But as the facts of this case trickled out slowly, I don’t think that that specifically happened. But then again, there’s that thing we have to account in here again, the things I mentioned above (i.e. the general attitude towards black men etc.). That’s why this is such a tricky case to discuss without putting disclaimers or without sounding like a simple Starbucks apologist. Simple rules of business, I suppose. That’s still the bottomline here. I have avoided many a resto in my life since they have such practices I don’t agree with, so maybe we could just do the same. Or maybe we also have to be more mindful of our behavior when in private establishments, or simply do the “more proper” thing to do. And this is not just exclusive to Starbucks, but applies to all eateries out there. But yeah, I agree that wait staff also need to be educated more about how they would treat and regard certain types of people (black men in the USA, or LGBT patrons here in the Philippines). Or maybe just apply one basic umbrella concept for everyone: proper customer service. Both customers and staff need to meet in some form of middle ground, always. “Sasakay po kayo?” sabi ng isang maliit na tsikiting sa akin. Kanina pa yata niya ako tinatanaw habang papalapit ako sa traysikel kung saan siya nakaupo, sa likuran nito, sa motor mismo, sa likuran ng drayber kung aandar ito. Maliit pa siyang bata, siguro wala pang limang taon o anim, pero bibo ang dating. Babae, medyo mahaba ang buhok, naka-pink na damit, parang Dora The Explorer yata ang nasa harap na print, hindi ko masyadong maaninag, o di ko napansin masyado. 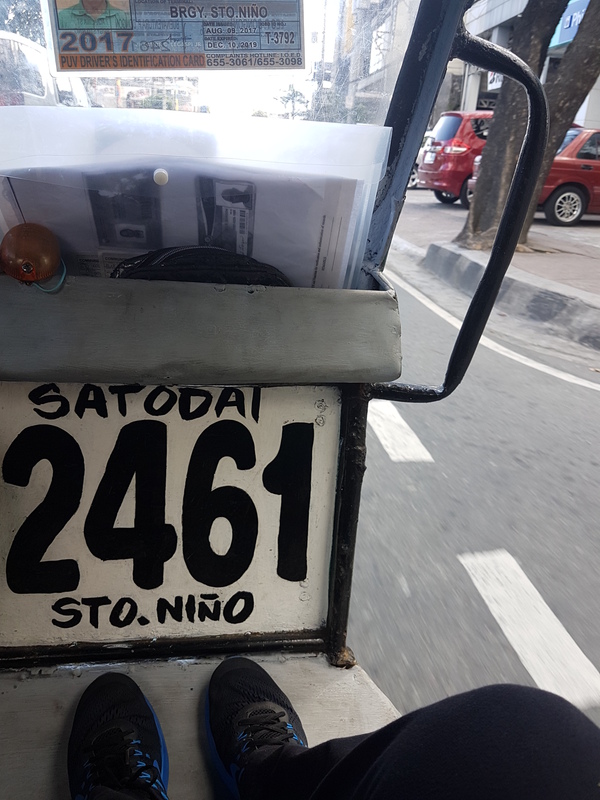 Mas abala kasi ako sa paghanap ng drayber ng traysikel niya — na nasa kabilang banda pala, sa harapan ng sidecar nito. “Manong, puwede po kayo sa may Tapsi ni Vivian?” tanong ko. Sakayan ito ng TODA sa paligid dito, kaya siguradong pamilyar siya sa lugar na sinabi ko. Pero hindi pala. Alam niyang puntahan nang sinabi kong malapit ito sa Marcos Highway, nasa Mayor Gil Fernando Avenue lang, banda doon pa. Maganda ang ngiti niyang pinasakay ako, dahil oo daw, puwede siya hanggang doon. Buti naman. Nakita ko sa loob ng traysikel ang kanyang ID, malaki kasi itong nakapaskil sa loob, utos ng lungsod. Matanda na siya, pero parang mas bata nang kaunti sa ID picture. Iniisip ko kung kaano-ano niya ang batang bibong nagtanong sa akin kanina. Tantiya ko, para siyang lolo na nito, sa tanda na ni manong. May konti siyang puting buhok, pero mahina na ang galaw niya, hindi na gaano kaliksi tulad ng ibang drayber ng traysikel. Siguro anak ito ng anak niya, ganoon ang hula ko, anak niyang siguro sinubukan niyang buhayin sa pagtatrabaho bilang drayber ng traysikel, hanggang sa mag-dropout ito sa eskuwelahan, nabuntis, at nanganak. Baka iniwan sa kanila ang bata, naglayas at naglayag. O puwede ring matino naman siyang anak, nadisgrasya lang, nagkaanak, nangibang-bansa, o nagtatrabaho sa call center o saanman. Maraming naratibo, base lang sa nakita ko sa dalawang tao sa traysikel. Sa tingin ko, laging kasama itong si batang bibo sa lolo niyang bumibiyahe. May dala siyang baunan ng tubig, ‘yung transparent na tipong nakukuhang libre kung saan, o kaya binigay kasama ng isang baggage pack. Minsan sa public schools, namimigay sila ng mga ganyang gamit sa mga bata. Kaya lang parang masyado pang bata itong bata para mag-aral, kaya siguro binili ito ng lolo niya, ng magulang, o baka bigay lang ng sinumang nakatatanda. Nabahala lang ako saglit kasi talagang nasa likuran lang siya ng lolo niyang drayber, pero hindi naman mabilis magmaneho si manong. Sobrang bagal nga, eh. Para tuloy kaming nagsa-sightseeing ng parteng ito ng Marikina bayan, ‘yung maraming kalyeng pinangalan sa punongkahoy — Sandalwood, Redwood, Chestnut, ganyan. Na marami ring umuusbong na kainan, dahil food trip capital na ang Marikina ngayon, di tulad dati nung lumalaki ako. Pupunta pa kami sa Cubao para makakain lang sa Shakey’s o A&W. Iba na ngayon. Tila pareho pala kami ni batang babae ng gawain kapag nasa sasakyan — tumatanaw sa lahat ng nakikita sa paligid, Siyempre, ano pa ba naman ang iba mong gagawin sa biyahe kundi tumanaw? 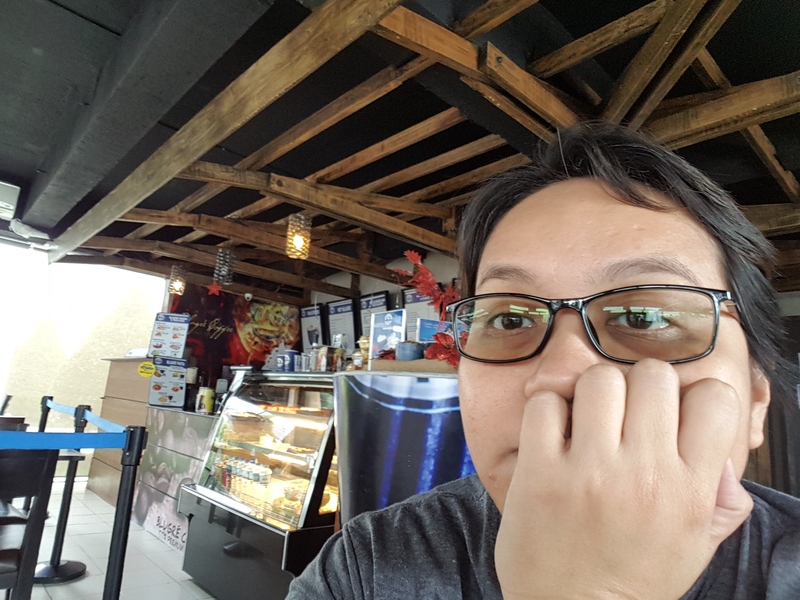 Ako, titingin-tingin ako sa mga bagong sulpot na restaurant na meron pala sa tabi-tabi diyan. Siya naman, tinitingnan lahat ng madaanan namin — puno, bahay, kotse, pati langit minsan tumatanaw-tanaw siya. Alam ko dahil nasusulyapan ko siya sa pagtanaw-tanaw ko. Minsan, nagtatama ang mga mata namin, kaya nginingitian ko siya. Para namang naaaliw siya sa nakikita niya, kasi malaki ang mata niya kapag may nakikitang kakaiba, tulad ng malaking SUV na humarang sa amin, papalabas ng isang malaking gate na bahay. Kapag tatawid ng kalye, nakatitig din siya sa mga sasakyang nagdaraan, sinasabayan siguro ang lolo sa pagtanaw. Naaalala ko ako sa kanya. Noong bata ako, hindi ako natutulog sa sasakyan. Tuwing aalis kami, gustong-gusto kong tumatanaw sa labas ng bintana ng sasakyan namin. Minsan, sa Toyota Crown na puti ng lolo ko, minsan sa puting Volkswagen Beetle ng tatay ko. Nag-iba-iba na ang sasakyan namin sa paglaon, depende sa company car na puwedeng magamit ng tatay ko, pero gustong-gusto ko pa ring umupo sa tabi ng bintana para tumanaw sa labas habang dumadaan kami. Sa ganitong gawain, natuto tuloy akong memoryahin ang mga lugar. Anong kalye ang daraanan namin bago marating ang malalaking boulevard, avenue o highway na noong bata pa ako ay sobrang lawak nila sa paningin ko. Wala pang traffic noon kaya mabilis lang ang mga biyahe. At banayad magmaneho ang lahat. O dahil ba nandoon ako, mga lima-anim na taon, nakaupo sa likuran o sa harapan, hindi pa uso ang seatbelt kaya dahan-dahan lang sa pagmamaneho ang drayber ng sasakyan. Gustong-gusto kong tumatanaw sa labas dahil tinitingnan ko ang mga bagong lugar na dinaraanan namin. Kahit na gilid lang ng kalye, subdivision, o building ang masulyapan ko, mahalaga pa rin sa akin ang sumulyap. Gusto kong tingnan ang hitsura ng mga kanto, anong mga street vendor ang nagtitinda-tinda doon, ano ang tinda nila, maraming makukulay na bagay sa paligid, iba-iba ang hitsura at suot ng mga tao, pero parang iisang kulumpon lang sila kung mabilis namin silang daraanan. Kaya naaalala ko ang building sa kanto kung saan dapat kami lumiko pauwi, naaalala ko ang ilang puno kung saan dapat kami lumilim kapag dadalaw sa bahay ni ganito o ganyan, naalala ko ang pangalan ng mga lugar na pinupuntahan namin kasi parang natutuwa ako sa sarili kong marami akong lugar na nararating — kahit ilang bilang lang ng kalye iyon. Sa isang batang mahilig tumuklas ng paligid, marami pa rin ang more than 1. Lingid sa kaalaman ko, makakatulong pala ang “self-training” kong ito sa sarili ko ngayon, ngayong mas matanda na ako, naglalayag mag-isa sa kung saan-saang lupain, gamit ang sasakyan sa lupa o sa langit. Sorry, ayoko talaga ng sa tubig. Minsan lang, kapag walang choice. O baka dahil mahirap imapa sa utak ko kung puro tubig ang nakikita ko. Ngayon kasi, naaalala ko ang detalye ng dinadaanan mo, mas landmark pa nga kesa pangalan ng kalye o lugar minsan. Basta ang importante, kapag hinulog mo ako sa gitna ng isang lugar, mahahanap at mahahanap ko ang labasan sa paglaon. Mas tumatatak pa nga sa akin kapag naliligaw ako, kasi mas naaalala ko ang daan na hindi ko dapat daraanan. Nasa Manhattan man ako, sa Quiapo, o kaya sa Chiang Mai, naaalala ko ang mga daan — dahil sa pagtanaw-tanaw ko sa paligid sa biyahe. Nakatulong itong pagtanaw-tanaw ko sa dinaraanan ko sa mga paglalakbay ko simula pa noong nag-20 pataas na ako. Ako na ang nagdadala noon ng isang company car ng tatay ko, na binili na niya, nagmamaneho kung saan ko man gustong pumunta, lingid sa kaalaman ng mga magulang ko kadalasan. Noong nagtrabaho na ako, mas lalo akong naging gala, pero may dahilan naman. Hindi kasi napipirmi sa opisina ang mga tipo ng trabahong napasukan ko noon hanggang ngayon. Kahit fulltime, lumalabas ka sa opisina dahil kailangan. May ico-cover na press conference dito o doon, book launch o CD launch o movie premiere diyan-diyan, may kailangang bisitahing kainan at gagawan ng rebyu, o pupunta sa iba’t ibang lugar sa Pilipinas o Asia para magturo sa iba’t ibang uri ng estudyante ng mga bagay-bagay na magagamit nila sa buhay nila, o kaya’y may maikling pelikula o dokumentaryong kailangang i-shoot kung saanman. Ganyan ang naging takbo ng buhay ko nitong nakaraang dalawang dekada. Pero kahit saan man ako mapunta, hindi pa rin nawawala ang mangha sa mata ko, tulad ng manghang nakita ko sa batang bibo kanina sa traysikel. Sa maliit niyang pananaw, malalapad na siguro ang mga kalyeng nadaanan namin mula sa TODA ng traysikel hanggang sa binabaan kong kainan. Sinusundan din niya ng tanaw ang mga taong nakikita niyang pumapasok o lumalabas sa mga kainang nadaraanan namin. Walang bahid ng inggit ang mga mata niya, pero sigurado akong sa dalawa-tatlong taon mula ngayon, baka maiba na ang bahid ng mararamdaman niya sa muli niyang pagtanaw sa ganitong mga tao at lugar, lalo na’t kung nakasakay pa rin siya sa likod ng traysikel ng lolo niya. Kinailangang mag-Uturn ng traysikel namin, at may isang lokong naka-motor na muntik nang tumama sa amin, dahil sa — di tulad ng ibang sasakyang huminto para paraanin kami — tuloy-tuloy lang siya sa pagharurot. Huminto siya nang muntik nang mawalan ng balanse, galit na nagsalita sa drayber ko, habang pinapakiramdaman ko kung ano ang susunod nitong gagawin. Unti-unti akong lumabas ng traysikel dahil wala naman palang gagawin itong isang loko, humarurot na rin paalis, siya pa ang galit. Pero tatawa-tawang umiling lang ang drayber ng traysikel ko, kita ang halos dadalawa na lang niyang ngipin sa ibabang gilagid, sabay sabi na hindi naman siya ang nasa mali sa pagkakataong iyon. At tama siya. Pero hindi ko naalis na mag-alala saglit dahil baka kung ano ang gawin nitong naka-motor sa lolo ng batang bibong sakay niya. Buti na lang at walang naganap sa kalyeng ito. 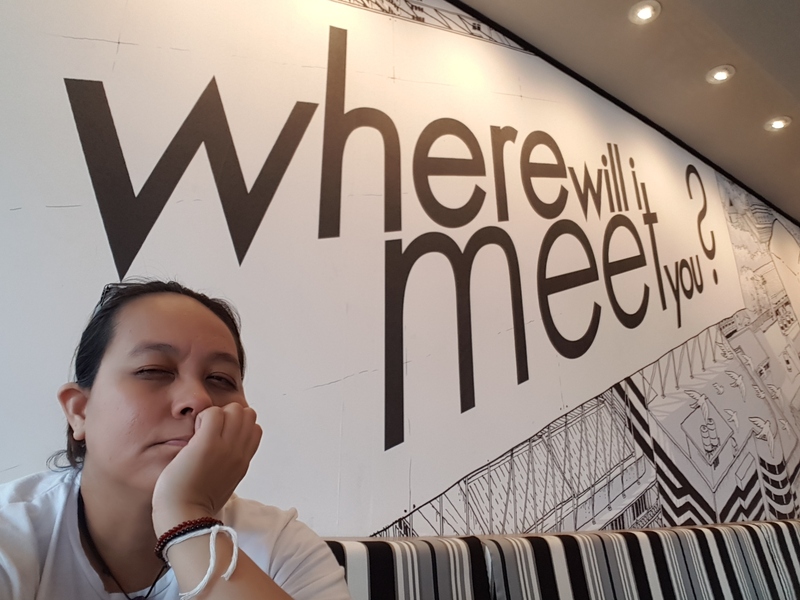 Whenever I travel to another place, be it here within the Philippines or abroad, sometimes my first curiosity about the new place focuses on how residents live their lives there, in that space that’s “new” to me, but to them it’s already old news. Like when the airport taxi or shuttle ride starts plying the routes going to my hotel or lodging space, I look closely at the passersby waiting at the sidewalks. Some run businesses *on* the sidewalks, while some seem to have businesses elsewhere and they look like they can’t wait to fly off that particular sidewalk. Or if we pass by houses, residential buildings or any other structure that looks like someone’s home, I try to look closely, to see if there are people inside, and I start wondering about the routines of their lives. As a traveler, I, too, have a routine of my life, which I somehow park for a while as I traverse to where I need to be. 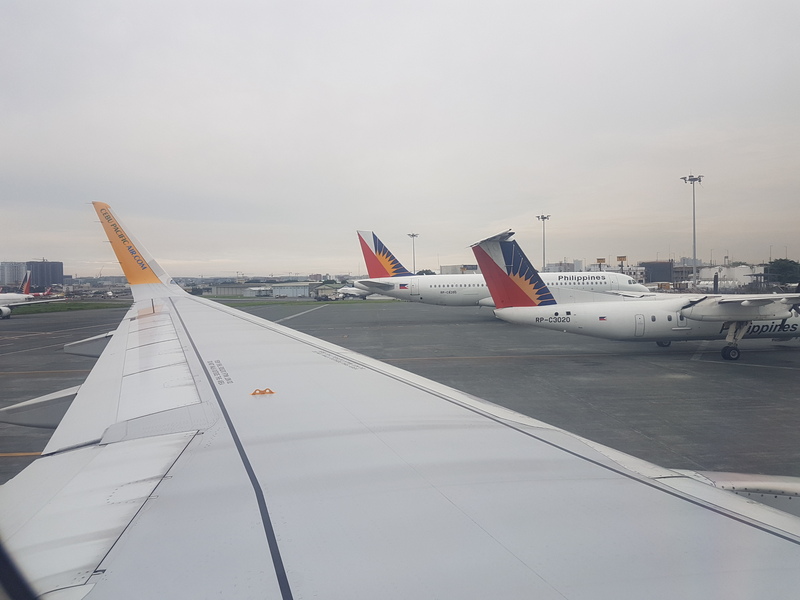 Usually, most of my travels are work-related, while a small chunk is related to family duties of being somewhere or other in a certain season or other. For the past two years, that has become the route, and also routine, of my life: traveling to do some work, come back home, do work routine at home, then travel again for some more work. I couldn’t complain about this; this has been a life goal, after all, ever since I was in my twenties, yearning for a career, looking for one, trying to see what fits and what doesn’t. And I’ve concluded that traveling for work is something I could enjoy doing in this lifetime — and I did. Still do. When you’re off to travel to another place to do some kind of job, it gets to be a new kind of routine. For me, that’s a routine I’m good with, and maybe have gotten better at, especially the past two years. I already know what kind of luggage to bring, what not to pack, what to pack just in case, and how to travel light when needed — or how to buy extra luggage if required. Upon arriving, of course I already did my preliminary research on the place, where I’m booked, where to access the nearest 7-11 or similar convenience stores or malls, and where to eat. Cafés are also on top of my list, as it has become quite a hobby to look for local coffee shops, see how they interpret coffeehouse culture, and of course patronize it. “Support local” is always a travel motto. But of course, sometimes, this kind of work life gets tiring for some people. Back in the early 2000s, when I was working full-time for an international NGO, I had a co-worker who had to shuffle from continent to continent, jarring her timezones, that she once lamented that it already gets tiring for her to travel for work, even if she was allowed to have a few days’ off of work to just enjoy a few days wherever she is. And guess what: she travels to places like Brazil and India and New York! Many times in New York, and she gets tired of traveling there. New York!!! What a wasted ticket that is, each and every time. That, or the woman just doesn’t know how to enjoy herself, probably. But I guess it’s to each her own in this department. For me, I’ve always welcomed any travel opportunity that I can “afford.” As a freelance creative consultant, I hold my own time and I can sync it with the timelines of the people that need my services. I’m not rich and I can’t really afford to travel in leisure, that’s why I bring extra for whatever convenience I may need to pay for, out of my own pocket, in such travel gigs. For example, in group lectures, we get booked two-in-a-room, but I always request for my own solo room, and I am always willing to pay for the differential. Some agencies see this solo room request as a no-brainer, since I’m one of the resource persons of the training, so they automatically give it without me even asking for it. Yes, there are different kinds of agencies with varying approaches and attitudes about accommodations and other travel stuff, so I just take them as they are, and understand their limitations or be grateful for their kindness. 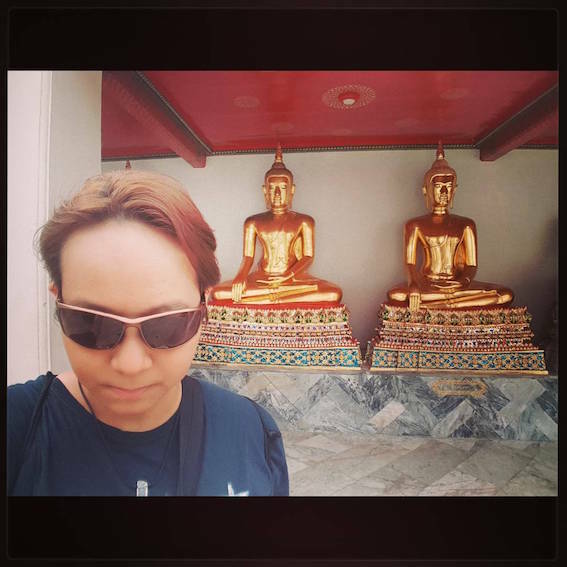 I thought this kind of life was far out for me, for someone like me, who trained to become a media practitioner focusing on a specific country only, and someone who, once upon a time, chose to be tied down to an academic institution to teach full-time. But I guess the universe has other plans for me. And if those involved travel plans, then so be it. And yes, here we are. 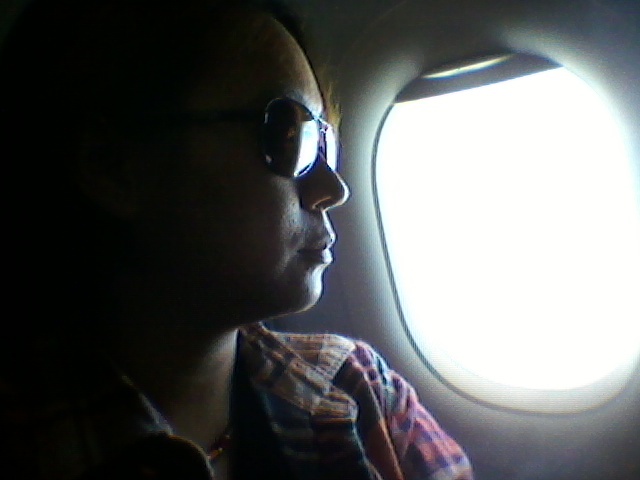 There are times when I need to fly, and there are times when I just need to stay put. This first quarter of 2018 seems more of a stay-put type of quarter for me, and I’m not complaining. I know I still have at least a couple of work-related travel plans this year, but nothing’s definite yet. That’s why I think this is a good time to get back to certain hobbies I also love, which I ran out of time for, since I had to be in another timezone or other, to work on some job stuff. Routes, routines. Whenever I travel, I try to look at the houses, the people we pass by, as we whiz down their roads, strangers in their not-so-strange lands. Sometimes I wonder, what do these residents think, once the tourists have gone. Do they like being flocked by many people like that, or do they despise it now? Neighborhoods get altered sometimes, and even residents feel foreign to their surroundings once in a while. Some are proud of the changes, though, while some always hark back to what once was. I guess we always have to deal with two sides of every coin, each and every time. Where have you be(e)n, Mang Ben? I’ve ben tu London tu beset da Quen. I don’t know why that’s classic funny for me, but it is. So, Leaflens, where have you been? It has been half a decade since you visited here. Well, let me tell you about my Lamyerdas. One thought swell at a time. This year has yet to wind out from our lives and yet promises of new travels are already arriving at my doorstep. And I am glad to avail of them, if the heavens permit. This has been quite a year for me in traveling. All journeys have tremendous impact on my inner life, and they all feed into my being — the sights, the sounds, the experiences, the people I meet, the people I travel with, the shared things we all shared in those momentary times and spaces. Even if I don’t get to travel as often as I want, the travels I’ve had — from longer work-related trips to short distances here in my surroundings — still affect me greatly, inside and out. Travel doesn’t have to be grand, expensive or really radically different from your usual routine. Your routine could actually be part of an insightful travel experience yet you just don’t recognize it as such. But I do. Maybe it’s because, growing older, I’ve come to be more mindful of such things, to a higher level. Maybe it’s the influence of subscribing to zen buddhist tenets over the years but being mindful has always been present in my life wherever I go. So it’s but natural that this, too, will be reflected in the way I see things as I go about. This year has been a mixture of these things. Some are regretful, some are super-sad, but most are promising signposts for better things to come in my life. Sure, there have been detours, but most fruitful travels always exist with these occasional yet necessary snags. So I don’t really mind. I like promises. I like hoping. I like that I got to do these things while going about my life this year. And we’ll have more of these next year, hopefully. In the meantime, I’ll try to jot down more thoughts here as I go along. I hope you could still go along with me sometime. Flashbacking to April 2012. Because June is here. Picture of a social entrepreneur specialty chocolate bought during my visit to the Enchanted Farm cafe along Commonwealth avenue QC earlier this month. Oh cool, look. They have an Android app for this. This photo is a product of that app. Nice! 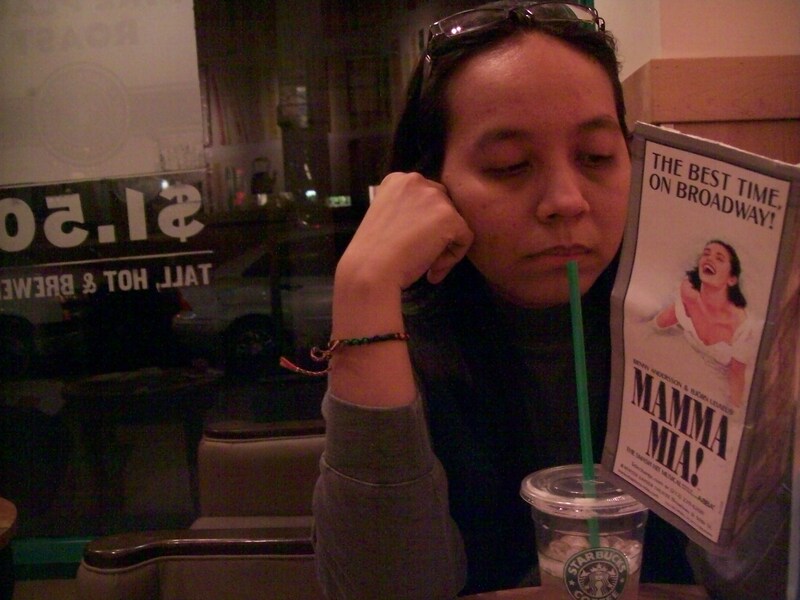 Photo taken April 2012 during my Galera hibernation. 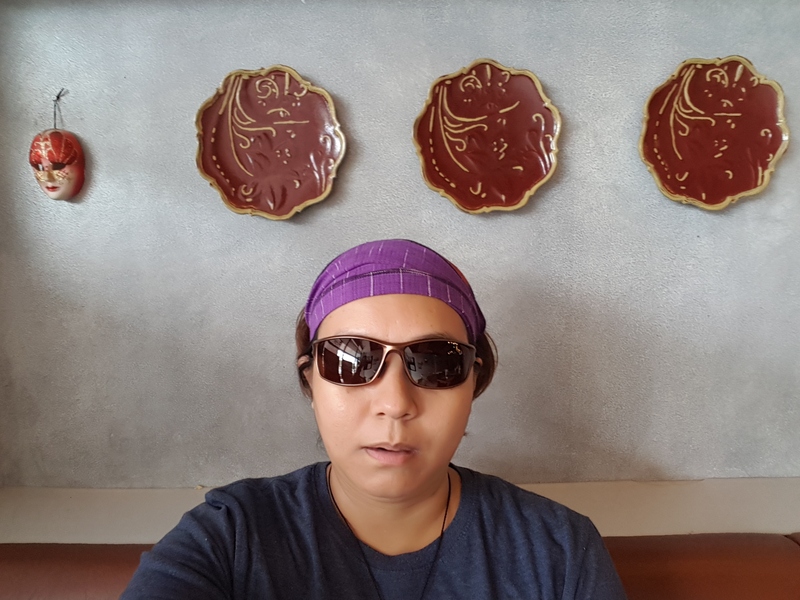 Leaflens is libay linsangan cantor offline, a writer based in Metro Manila, Philippines but feels more like -- as her idol Alanis sang -- a citizen of the planet. Welcome to her reinterpretation of it. "Lamyerda" is Filipino slang for "traveling" or specifically "loitering around" but this space will focus more on inner journeys as influenced by outer ones, also intersecting such places with people, food and experiences. Fun but meditative while under the sun. Or moon. Feel free to be in tangent. New interactions are always welcome. All materials posted, unless otherwise indicated, are owned by Leaflens. Email leaflens@gmail.com for permission to reuse or for anything. #TravelMiron parks her thoughts here. Come hang out! Bayli was here. Is. And will be. This work by Libay Linsangan Cantor is licensed under a Creative Commons Attribution-NoDerivs 3.0 Unported License.